Alexis (population 863) is a town of about 850 residents situated 12 miles north east of Monmouth, 3 miles east of Route 67. According to "Ripley’s Believe It or Not", Alexis is the only town in the United States sitting in two different counties, Mercer and Warren, and four different townships. The town was settled in 1870 and first named Alexander after J.E. Alexander who platted the town. The name Alexis was chosen after learning of another Alexander, Illinois and so a unique name Alexis was chosen. This time the town was named after Grand Duke Alexis, the heir to the Russian throne. Alexis was in the area hunting buffalo and with his consent, Alexis, Illinois was born. Alexis High School was likely established in the late 1800s and survived through the 20th century. The school district was deactivated in 2004. Alexis and Monmouth Warren consolidated to form United High School beginning the 2004-2005 school year. 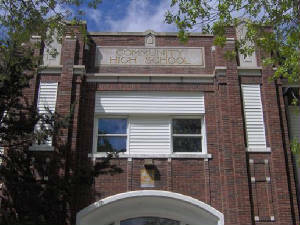 The Alexis High School building was utilized as the north campus of the United Consolidated School District, housing pre-school through the sixth grade for several years. 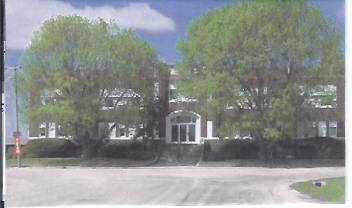 The school was eventually razed in approximately 2010. 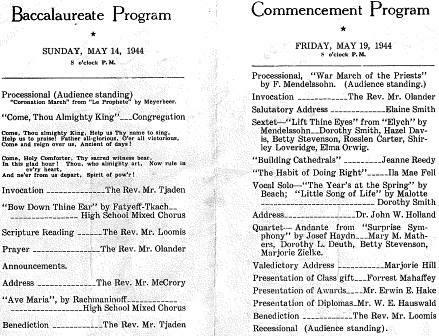 A memorial to the building now stands in front of the former gymnasium (see photo to the right). The gymnasium is utilized as a community center. School Fight Song: "On Alexis"
The Cardinals athletics teams were very competitive through their history, most notably on the grid iron. Girls basketball and volleyball also had success at the end of the 90's. Alexis played in the Lincoln Trail Conference from the 1970s on. If you have any further information you would like to see added to this page please do not hesitate to contact us via the means listed at the bottom of this page. The Alexis football tradition is rich making several trips to the post season. The biggest success story for the Cardinals was a trip to the 2A State Championship game the first year the current state playoff structure was formed. The Cardinals finished 2nd that year with an 11-2 overall record. To get to that game, it took a double overtime thriller to defeat Sherrard. Illinois Coaches Hall of Fame member John Elder coached that team, among his 28 seasons as the head man in Alexis. Elder also coached track and basketball at times throughout his time in Alexis. As the sign in the front of the team proclaims, this group won the conference championship that year. The Cardinals beat Keithsburg (107 - 0! ), Monmouth, East Moline, Cuba, Knoxville, Industry, Aledo, and Colchester before falling to Dallas City in the season finale. 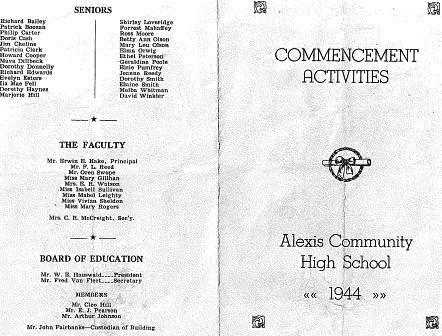 This is proof positive that the Alexis football tradition extends deep into the school's history. Tradition also extends deep into the Edwards family. 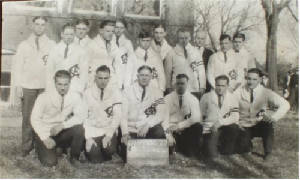 Mike's grandfather, Richard William Edwards, is pictured in the photo standing in the second row directly above the "Champions" sign. Mike's father, Richard Edwards, was also named Captain and starred on Cardinal team of 1943. Mike would later suit up for the Yorkwood Golden Bears in the late 1960s. If you know any of the other players pictured on the 1923 team photo let us know so we can properly identify them. Listed below are the more successful seasons on the field at Alexis. The Cardinals won their final game as the Alexis Cardinals 34-10 over Galva. Alexis had a long running rivalry with the Aledo Green Dragons known as "The Old Shoe Rivalry". The series ran from 1915 to 1989, with the winner claiming host the "old shoe" for the year. The "old shoe" retired as a Cardinal, with Alexis winning the final meeting 35-0. Aledo won the series 34-28-3. The Alexis Cardinal boys basketball team won a total of FOUR District titles throughout their history. Several scores involving Alexis High School in the IHSA State Tournament play were found on a webiste titled "Illinois Postseason Basketball Scores." These scores and the location of the tournament are listed below. Also listed below are seasons Alexis won district titles, season reocrds and coaches' names of other seasons are needed. 1921-22 through 1932-33 Postseason scores, records, and coaches' names needed. Biggsville lost to Sherrard in 2nd Rd. 1972-73 through 2003-04 Postseason scores, records, and coaches' names needed. 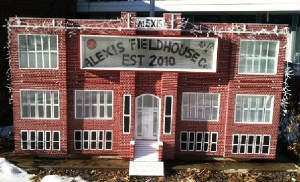 The girls basketball program at Alexis had good runs in the late 1990's winning three regional titles. 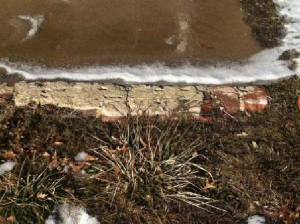 Below are those seasons. LTC Conference championships were won in 1976, 1977, 2000 and 2001 (tie). Where the Girls Basketball success tired out the Regional Titles came in for the Volleyball teams at Alexis. Listed below are the Regional titles for Alexis Volleyball. LTC Conference championships were won in 1987 (tie) and 2002 (tie). They also won the LTC Volleyball Tournament in 2002. Listed below are Alexis Track & Field state medalists. Note STATE CHAMPION and three time medalist Tony VanFleet!! Tony VanFleet 1977 Triple Jump State Champion!! The Cardinal Boys team won LTC Conference championships in 1977, 1980, 1981 and 1982. The Cardinal Girls team won LTC Conference championships in 1980 and 1982. Alexis also had their fair share of success in the English activity spotlight, as they won four District Championships in Individual Events in the following years: 1962, 1966, 1969 and 1970. 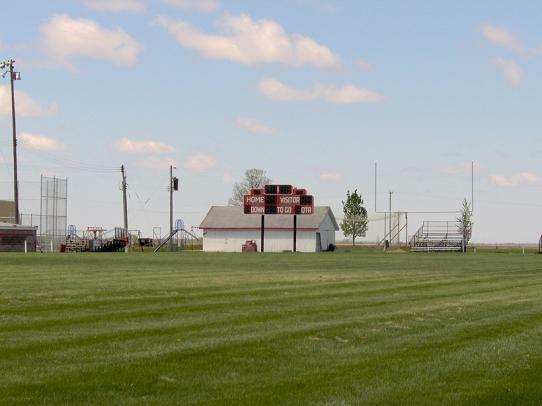 The name John Elder is renowned around the state of Illinois football as much as it is in the town of Alexis. Coach Elder stalked the sidelines of Alexis High School from 1965 to 1993 amassing a 167-99-4 record with a trip to the State title game in 1974 and two appearances state semi-finals. Elder also served as the schools High School Principal from 1968 to 1995 and Superintendent from 1984 to 1995. Coach Elder is a member of the Illinois Coach's Hall of Fame, and has been a recipient of the Ray Elliot Award, a Distinguised Service Award, as well as a recipient of the Gerald Ford All-American Coach.